Economics, still a male-dominated discipline, excludes many issues of relevance to women in Scotland. No wonder they are being hit disproportionately by austerity measures. 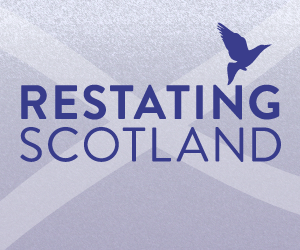 This is the third article in the debate series, Restating Scotland. The current economic recession and the perceived ‘crisis’ in capitalism present us with both challenges and opportunities. The most obvious and immediate challenge is how to mitigate the impact of ever increasing austerity measures on the welfare of many individuals and their families. The opportunities are twofold. The global financial crisis and the subsequent economic recession provide us with an opportunity to rethink and reshape our economic structures, institutions and processes in ways that will produce better outcomes for all, not just a privileged few. Furthermore, the constitutional change debate in Scotland provides space to focus on what that reshaping could look like. At present, the Scottish Government’s economic strategy has an overarching objective to promote sustainable economic growth, and in delivering this objective the Government have made a commitment to ensuring opportunities for all citizens to benefit from Scotland’s economic prosperity. The implication is that the promotion of equality is integral to the Government’s economic strategy. The global economic recession, and lack of real recovery have limited the Government’s ability to achieve that objective. Within a Scottish context the focus on capital investment, affordable finance and enhanced economic confidence, as set out in the Scottish Government economic recovery plan is informed by a limited understanding of the contributing factors to economic growth. In particular, prioritising capital investment and affordable finance fails to account for economic activity within the household and the impact that reduced resources has on the resilience of households and wider communities. Inconsistency between actions to promote economic growth and desire to ensure equal opportunities can be attributed to unyielding attachment to tools and methods associated with mainstream economic analysis. The economics discipline failed to accurately forecast the outcomes of deregulated global financial markets and failed to provide an effective solution to the economic crisis that followed the collapse of those markets. As a result the policy response to the most widespread and significant economic slump since the Second World War has had little effect. Rather than promote recovery the favoured austerity measures imposed across Europe have led to further recession, worsening the crisis. The outlook is bleak, particularly for women in Scotland. Women’s unemployment has almost doubled over from 2007 to 2012. Over the same period a rise in part time jobs against a fall in full time jobs for women indicates that women are ‘underemployed’ in a stagnating economy (for data and general info relating to women in Scotland’s Economy see http://www.gcu.ac.uk/wise/wisefacts/). In addition, reform to the welfare system has reduced benefits, increased pension contributions and increased the age at which pensions can be drawn. This comes on top of a two-year wage freeze for the majority of workers in the public sector in Scotland. So terms and conditions of public sector workers, the majority of whom are women, are deteriorating. As the sector continues to contract more women will lose their jobs and at the same time will find their eligibility and access to social security payments significantly restricted. However, labour market data only provides a partial account of the threat the economic crisis poses to women in Scotland. Policy directed at reducing state deficits by slashing public spending has involved both a transfer of responsibility for the production of certain goods and services from the public to the private sector and an absolute cut in particular areas of service provision. The assessment of the impact of cuts in terms of standard market-based indicators – including change in public expenditure, output levels and prices – will provide quantifiable data on how effective the shift from public to private provision has been in reducing state deficits. But exclusive reliance on such data will fail to account for the distributional consequences of the cuts. The shift from public to private provision should instead be assessed with reference to the impact on the overall level of provision and any subsequent third party or ‘spill-over’ effects. These effects tend to be gendered in that the shift from public to private has knock-on effects for the functioning of the domestic or household economy. Much of what takes place within the household economy is unpaid and is thus ‘invisible’ in terms of market-based criteria. However, this unpaid activity, primarily undertaken by women, is crucial to the efficient functioning of market-based economies. Significant and prolonged public spending cuts is taking place within a framework that provides little guarantee of the private sector stepping in to fill the gap. Who will fill the gap? As long as the unpaid work women do within the household remains outwith mainstream economics this question is ignored. The work women do to fill the gap remains ‘invisible’. But the work will be done, as if by magic – a natural consequence. Economists should examine patterns of distribution both within and across households, assess how a lack of affordable care services impacts on access to the formal labour market, and evaluate how patterns of social reproduction are affected by economic restructuring that transfers costs from the formal paid economy to the unpaid household economy. But economics is a male dominated academic discipline. This gender imbalance influences how the economy is understood and what is considered worthy of study. Male economists tend to view and understand the world with reference to their own lived experiences. This masculine lens excludes issues of relevance to women from both the research agenda. Thinking about this, it becomes obvious how gendered impacts remain invisible, at least to the economist. A focus on formal labour market data in assessing the impact of spending cuts is indicative of biased analysis. A more inclusive approach would involve accounting for the provisioning, caring, nurturing and managing activity that supports and indeed drives our local communities, alongside an analysis of the impact the reconfiguring of public finances and the contraction in public sector employment and services had on that activity. As the numbers to measure this activity are not readily available it tends to be ignored it in the context of formal economic analysis and modelling techniques. The reconfiguration of the public sector in Scotland presents significant challenges for women and their families. Women are at the heart of our local communities and if we continue to restrict a vital blood supply to that source we are in danger of threatening the survival of those communities. Therefore, as opposed to providing a justification for cutting public spending, the crisis in the economy may provide us with an opportunity to justify public sector investment in key areas that supports the wellbeing of families and wider communities and the development of human capital in individuals as well as societies. We should improve economic models to incorporate care work and caring activities as investment in human capital rather than resource expenditure. This would require a shift in the way we think about and do economics. It seems that the crisis may provide the catalyst to make that shift. The current political climate within Scotland provides real opportunity to move beyond crisis - to move beyond the confining parameters of mainstream economic analysis in attempts to understand the role of women in the economy. This kind of rethink about what, how and who we value and how we do economics would provide the basis for reshaping our institutions in ways that promote opportunities for all as opposed to the few. In Scotland, there is much to draw upon in terms of ideas, expertise and evidence. Devolution has provided a framework for innovative approaches to both governance and public policy processes. Most significant is the Scottish experience with respect to support for and promotion of gender budget analysis. The combined efforts of the Scottish Women’s Budget Group, the Equal Opportunities Committee of the Scottish Parliament and the Scottish Government’s Equality and Budgets Advisory Group have resulted in a more ‘equality’ aware approach to the resource allocation process in Scotland. Perhaps now is the time to reflect upon that work, and in order to secure further progress there is a concomitant need to challenge the orthodox approach to economics. The current economic environment should not provide the basis for supporting further retrenchment of the public sector. Rather, combined with the current political environment in Scotland the ‘crisis’ provides us with an opportunity to develop a more inclusive and realistic understanding of what counts and in the process to recognise and account for the contribution women make to Scotland’s economy.